President Morsi made a bundle of sweeping decisions on Sunday afternoon, announced by the presidential spokesperson in a televised statement. Firstly, Morsi cancelled the 17 June constitutional addendum, which was issued by the Supreme Council of the Armed Forces (SCAF), and amended the SCAF-issued 30 March 2011 Constitutional Declaration. The new Constitutional Declaration grants the elected president all the powers detailed in Article 56 of the 30 March 2011 Constitutional Declaration. The powers Morsi enjoys as per this declaration include full executive and legislative authority, as well as the power to set all public policies in Egypt and sign international treaties. The declaration also gives Morsi the right to form a new Constituent Assembly tasked with drafting a new Egyptian constitution should any future developments prevent the current assembly from carrying out its responsibilities. Secondly, Morsi issued a decision to retire Hussein Tantawi, the minister of defence and the general commander of the Armed Forces. Morsi also retired Sami Anan, the Army’s Chief of Staff. Morsi also decided to award both men state medals and appoint them as advisors to the president. Thirdly, the president appointed the head of the military intelligence, Abdel Fatah El-Sisi, as Minister of Defence to replace Tantawi. Sedky Sobhy, the commander of the Third Army, was appointed as Chief of Staff of the Armed Forces. Morsi also retired the Commander of the Navy, Mohab Memish, and appointed him as head of the Suez Canal Authority. Reda Hafez, the commander of the Air Force, was also retired and appointed as minister of Military Production. Mohamed El-Assar, the SCAF member in charge of armaments, was appointed as assistant to the Minister of Defence. 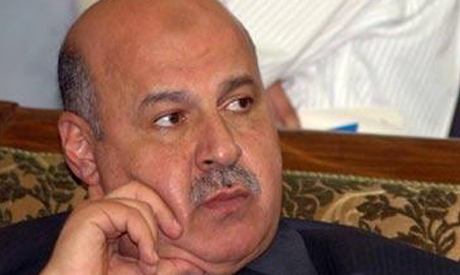 Fourth, Morsi appointed Mahmoud Mekki, the deputy head of the Cassation Court, as his Vice President. Immediately following the announcement of their appointments, Mahmoud Mekki, Egypt’s new vice president, and Abdel-Fattah El-Sisi, the new minister of defence, were both sworn into office before President Morsi shortly after 5pm on Sunday afternoon. alhamthulilla mursi had done superb,he tooekbold decession i am indian tosee this very happy about egypt people tocome deocracy,once again muslim brotherood people done good job,i think today all muslim world role model is muslim brotherhood&mr morsi.the next step is to destroy our muslim world enemy israel and we conquer bithul mugadish. Morsi has prooved to the whole world that he is a brave an a good decision maker. May Allah bless him. Remember Mohmed Naguib !!!! the same thing will happen to Mohamed Morsi this time by Tantawi not Allah bless his Soul GAMAL ABDEL NASSER then we will see hell breaks open In my beloved country EGYPT. i appricate mursi decsion. now its the time to develop the real islamic democracy. a contradiction in terms surely? President Morsi has taken a very bold decision in retiring the top army leaders and should be seen in the right dirction and be supported wholeheartedly as the Americans were trying to destablize Egypt once again and they would be in the run to do it again but the Egyptians should be more careful then ever before as the ALMIGHTY ALLAH has provided a very fruitful chance to the nation of Egypt to establish its credibility as a nation as it used to be being a True Muslim as this country has a very high and rich traditional Institutions who have propagated the Deen e Islam. Bravo Morsi go ahead with other decisions nicely and in a similar fashion wherever u feel. I think that anyone with common sense will see that this is a step in the right direction. Any part of the old regime whether it be SCAF or otherwise is unwelcome and the Egyptian people will not stand for it. It is time for a government that represents ALL Egyptians. Good Job Morsi! As for those cowards who are afraid of change and true democracy and are satisfied with the status quo you do not represent the majority. This is not about the Muslim Brotherhood or any other ideological group. The will of the people has spoken. THEY WANT CHANGE. SCAF should take control of this politically chaotic development before the Brotherhood president plunges Egypt into another self-destructive war. If the Egyptian Army is seen not to be under Tantawi but rather under Morsey and the Brotherhood in the current Sinai campaign (against militants in al-Arish area), it could be seen by Israel as a threat and violation of the Peace Treaty. This could be a needlessly serious problem for Egypt. Though it is late, still I like to offer my best Salam and salute to the President Morsi for his pragmatic and courageous decision against the Tantabi regime and the appointment of an efficient vice President of Mecci. May Allah (swt) put the Egyptian peoples in their respective honourable place. Amin! Your giving Morsi too much credit if you don't think this was a well planned decision that involved Tantawi your a fool. Tantawi knew about this and agreed to it days in advance before it was made public.